initiatives, the global operator participates in the emergence of dynamic start-ups. The DEMO Africa conference was held in Morocco on October 18-19, 2018 after six years of traveling around other region of Africa to promote the ingenuity and aspirations of young African entrepreneurs. Data available from the GSMA suggests that the increase in partnerships between mobile operators and start-ups is due to an increasing acknowledgement of the mutual perks the parties can benefit from. Currently, mobile operators support or run over 14% of the active tech hubs identified across Africa. With over a billion mobile subscribers across the continent, corporate innovation programs with partners like inwi represent an interesting go-to-market approach for many startups and young entrepreneurs. inwi's digital partnership with DEMO Africa offered a fantastic opportunity for seamless communication for all conference attendees thanks to the inwi network. DEMO Africa 2018 attendees were able to stay connected to their networks, interact across conference partnerships and engage with the conference organizers in an efficient and reliable manner.Entrepreneurs and startup finalists were also be able to connect with attending investors in real time, respond to information requests and schedule follow up meetings on the backbone of a reliable data service via inwi. 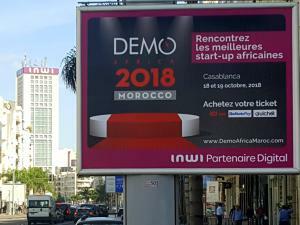 Besides the perks of connectivity and access, the leadership teams of inwi and DEMO Africa are also determined to uncover continuous synergies and ecosystem building opportunities that will benefit Moroccan entrepreneurs and connect them to a global network of investors, partners, customers and other industry stakeholders. 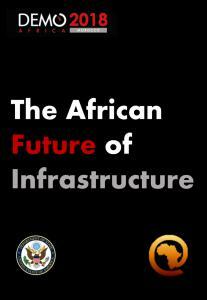 As part of the main events of DEMO Africa 2018, inwi also participated in the African Future Infrastructure Summit that was convened by the U.S. State Department and led discussions on digital infrastructure readiness in the region.